independent school administration, human service organizations, intentional communities and small businesses. 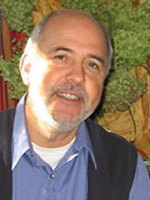 He completed studies in school administration and community development at Sunbridge College and in social therapy from the School for Spiritual Science in Dornach, Switzerland. Claus is a certified instructor in Non-Violent Crisis Intervention, is the CEO of LILIPOH Publishing and has served on numerous Boards of Directors. has a Bachelor of Science in Accounting from Albright College and has worked for many years in financial administration. Her professional background includes employment in large corporations, small businesses, independent schools, retail establishments and non-profit organizations. She is an experienced school administrator, small business owner, non-profit board member, financial consultant and has served as the treasurer in several organizations. is an experienced administrative professional who enjoys working hand in hand with our clients to oversee and manage all of their administrative and advertising needs. Sandra holds a BA in Education from West Chester University, a business degree from the Swiss Business School of Zurich, Switzerland, and worked in the international insurance industry for over a decade. provides comprehensive, full-service bookkeeping services for our clients and manages all of the administrative functions of our business office. 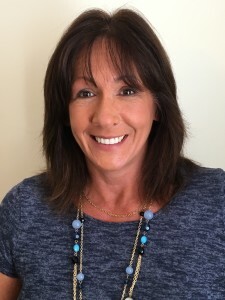 She is an experienced professional having worked for over two decades in small businesses and non-profit organizations providing office management, bookkeeping and general administrative support. is a qualified professional who has provided office management, bookkeeping, accounting, human resources, and payroll to small businesses for over 20 years. She continues to expand on her experience by supporting several clients with their bookkeeping and administrative needs. has extensive experience in project management with responsibility for the coordinating management of multiple projects for both non-profit and for-profit companies. Maggie has a successful record of being held accountable in building credibility, establishing rapport and maintaining communication with stakeholders at multiple levels. 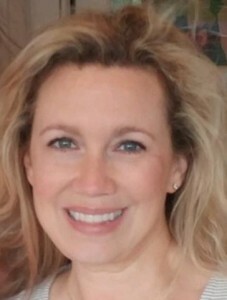 Maggie holds a Certificate of Paralegal Studies from Duke University, a Master of Education degree from Sunbridge College and a Bachelor of Music degree in Vocal Pedagogy from East Carolina University. holds a BA in Psychology from Widener University. She has spent over 20 years working as an administrative professional in various fields from Veterinary offices to Accounting firms. Her areas of expertise include: data entry, customer service, marketing, and social media and website editing. has a Bachelor of Science in Accounting from St. Joseph’s University. She began her work in public accounting with KPMG, then transitioned into the private sector. Her over 20 years of accounting experience has included the role of Controller for several small businesses. handles a variety of areas for our clients including: Marketing coordination and strategy, website mastering, email marketing campaigns, branding, social media networking and print media design. She holds a BFA from the University of the Arts in Philadelphia and has several years of experience in professional advertisement design and marketing. has a Bachelor of Science degree in Accounting from Goldey-Beacom College. She has worked over 20 years in the accounting field, which included real estate accounting. She has served as the treasurer in her children’s’ school Parent Teacher Organizations and Youth Soccer Leagues. Kim currently supports several clients’ bookkeeping, payroll, and financial reporting needs. provides bookkeeping service for various clientele and internal administrative support. 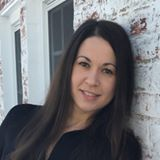 Melina holds a Bachelor of Science degree from Messiah College and has over 10 years in administrative and bookkeeping experience. has expansive education and experience in accounting, sales, and human resources with a strong love of payroll. She has a degree in Hospitality Management from Widener University. 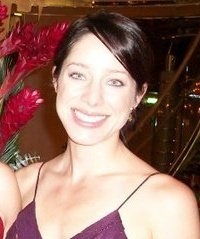 Amanda currently supports several clients in both general bookkeeping and administrative support. holds a Bachelor’s Degree in Finance from Pace University and has experience working for large corporations, as well as non-profits. Her background includes financial reporting and analysis, accounting, and bookkeeping, including AR and AP. She enjoys leading projects to enhance processes and create efficiencies in order to allow the organizations she works with to make a greater impact. is a former CFO for several area non-profit organizations and over the last fifteen years has managed accounting, HR, Facilities, IT and grants management. He has been involved in strategic planning, budgeting, investment management and federal grant compliance. 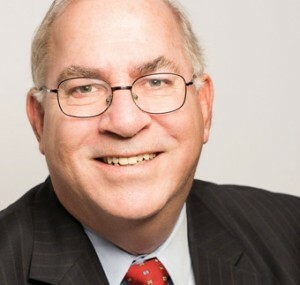 Prior to his non-profit career Jack served in corporate treasury roles for SmithKLine and Towers Perrin. 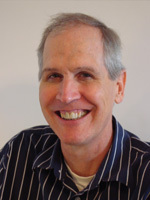 Jack also taught evening courses at area colleges and universities for over thirty years. Jack has and does serve as a board member for several area non-profit organizations. has been involved in Waldorf education for fifteen years as a teacher, administrator and board member. During that time, he has served as Board President, member of Core Faculty and Faculty Chair. Randy has also worked as a teacher mentor and an adult Foundation Studies Instructor. He holds a Juris Doctorate from the University of Denver, Law School, and a Bachelor of Arts in Philosophy from Duke University. He has completed the coursework for the Center for Anthroposophy’s High School Teacher Education Program. has experience in the field of public accounting specializing in small to medium sized companies, including not-for-profit entities. James experience includes preparation of month-end and year-end closings, budgets, financial statements and tax returns. He has also managed accounting staffs, served part-time controllerships and performed audits. He has used several general ledger packages including Quickbooks. James holds a Bachelor of Science in Accounting from Pennsylvania State University and has an active CPA license in Pennsylvania. work experience with industrial, institutional, and creative clients involving salmon conservation, honeybees, economic development, chemical management, agriculture and land use provides Lauren with a breadth of experience across disciplines and communities of many kinds. 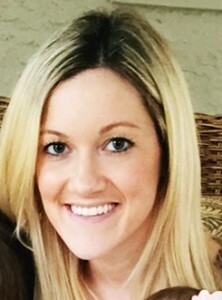 Lauren is a trained Waldorf teacher, a former Peace Corps Volunteer, and holds a Masters in Education from Antioch New England Graduate School, an M.A. in Geography and Human Environmental Studies from San Francisco State University, and a B.A. from Bryn Mawr College (Pennsylvania). 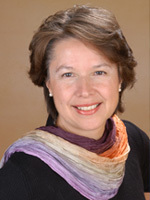 brings 13 years of experience in Waldorf school administration in the US and abroad. She has over 20 years of experience in small business management, organizational development and office administration. 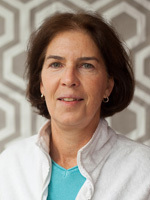 Kim has served on AWSNA accreditation teams and as the AWSNA regional representative to ANA (Administrative Network of AWSNA) for Northern California for over 5 years. 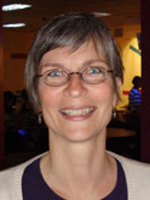 She has served on several nonprofit boards in Waldorf schools and other non-profit organizations. She has a BS in Biology from California State Polytechnic and a Post-Graduate teaching degree from Victoria University, Wellington New Zealand. brings the experience of a long career in Waldorf education, both as a teacher and administrator, to her work in AdminService. She served as Director of Admissions for eight years at the Waldorf School of Garden City, as well as High School Chair for three years. 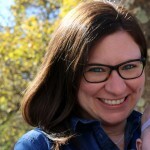 Her experience in teaching on all levels led her to participate in the AWSNA Pedagogical Colloquium and subsequently co-lead several mentor seminars. Leonore’s extensive background in education is invaluable to new schools at start-up, through mentoring, evaluating and building new programs. 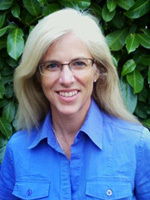 She specializes in Eurythmy in the Workplace as well as an artistic approach to collaborations and community learning. Leonore has a M.A. from Adelphi University and a Diploma in Eurythmy from the Goetheanum in Dornach, Switzerland. is a Human Resources professional and also has experience in school admissions, outreach and development, advertising, office management, small business ownership, governance structures, and policy and procedure development. 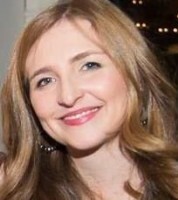 Lydia has a Bachelor of Science in Computer Science from Duquesne University. 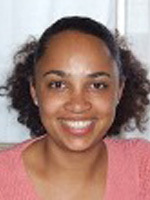 While working for a large computer company, Lydia provided training in internal software systems and wrote and published courses for these training programs. specializes in international communication and intercultural training to help guide the global mission of large and small organizations across a variety of fields. Kuntal has over 15 years of experience working with the government, education and arts/cultural industries and the private sector in providing diplomatic communications, intercultural skills-building, marketing and development expertise. 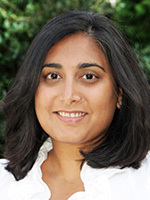 She has worked with the University of Pennsylvania, Porter Novelli public relations, Embassy of India, and the Philadelphia Museum of Art. Kuntal has a B.A. in Advertising from Penn State University and an M.A. in International Communication from the School of International Service at American University. has enjoyed a multi-faceted professional and volunteer career within the legal, non-profit, corporate and educational sectors. The overarching focus of her work has been effective project management, with emphases on strategic analysis and communications, community outreach, policy and procedure development, and legal research and writing. In all pursuits, Windy prioritizes building credibility, establishing rapport and maintaining communications with stakeholders. Windy holds a Juris Doctor from Loyola Law School and a Bachelors of Arts in Sociology from the University of Michigan. has many years of experience in marketing and all aspects of fundraising, including planned/major gifts, donor base development and event coordination. She has worked in the field of non-profit management as well as financial system development for non-profit organizations, focusing on establishing a dynamic balance between programmatic ideals and operational needs, as a basis for healthy budgeting practices. has a broad range of experiences in the field of public education as well as in the area of psychology. In the area of professional development he has designed and led programs on a variety of topics and has trained human service professionals and educators in crisis intervention skills. In the area of Organizational Development he has instituted processes to enhance student academic growth and character development and led successful systemic change for a regional education program and a school district. He has also led boards and committees in not-for-profit organizations. He has provided a broad range of psychological services to clients in private practice. In the area of Human Relationships he has counseled students, families and staffs and intervened in challenging HR conflicts in numerous school district settings. Education and Certifications: Ph.D. in School Psychology, (New York State licensure as a Psychologist), Certification of Advanced Studies (CAS) in Educational Administration (School District Administrator Certificate), Master of Science and CAS in School Psychology, Bachelor of Science in Social Studies. is a talented copy editor whose editorial work includes scholarly book publishing and grant proposals, newsletters, brochures, and annual reports for nonprofit organizations. She is also experienced in copy editing, proofreading, and indexing. While working in the health care industry, Kristine developed project management skills through writing and editing policies and procedures, training materials, and legal correspondence. 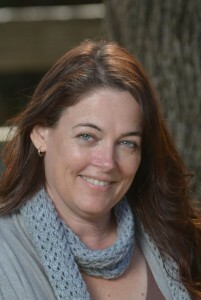 Kristine has a Bachelor of Arts degree in English from the University of California, Irvine, and completed the Weekend Foundation Year at Rudolf Steiner College. has enjoyed a diversified administrative career, serving multiple roles within academic, entertainment, financial, legal, municipal, and medical fields. The overarching focus of her work has been exceptional customer service, with specific concentration on policy and procedure development, team building, and strategic planning. Most recently, Anne completed the MS Education program in Waldorf School Administration and Community Development at Sunbridge College. Her dissertation on Waldorf School financial aid models was published in 2009.
has served in public education as teacher and administrator for nearly twenty years. He is the founding principal of Albert Einstein Academy Charter Middle School (AEACMS), a public charter school in urban San Diego, CA. AEACMS is an International Baccalaureate, California Distinguished School. Mr. Sciarretta has extensive leadership experience creating professional learning communities, maximizing governance and board work, developing and evaluating policy, and harnessing technology to improve organizational effectiveness. 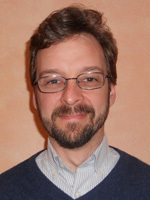 A Waldorf school graduate, Mr. Sciarretta holds a B.A from Bowdoin College in History and Government, a M.Ed. in Cross-cultural teaching, a California administrative services credential, and is in the final year of doctoral studies in Educational Leadership at San Diego State University. has more than 10 years experience growing a healthcare related software company as director of sales and marketing. Integrating customer service driven referrals and internet marketing techniques, she has designed and implemented robust and successful sales plans. 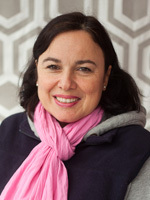 Her rich experience with Waldorf education, as teacher, movement specialist, operations staff member, social inclusion specialist, teaching mentor and parent, affords her a unique vantage point on running a Waldorf school. Linda has a Bachelor’s degree in K-12 Music Education from Eastern Michigan University and 17 years’ experience as a Waldorf educator. 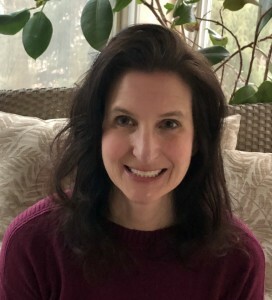 She is also currently an adjunct faculty member of the Waldorf Institute of the Great Lakes and Movement Therapist with Community Supported Anthroposophical Medicine.